Nothing is worse than surprise heat loss in the middle of winter. If you find that the heat is suddenly not working in your Southern New Hampshire home or business, don’t go into panic mode just yet. Your boiler or furnace may not be the problem. Some common causes for heat loss can even be resolved without an emergency HVAC service call. When in doubt, it’s always best to turn to the experts—but first, take a quick look at some of the top reasons for unexpected heat loss to determine if you can correct the issue without an emergency visit. If you heat with oil or propane and schedule deliveries on an as-needed basis, check the gauge on your fuel storage tank to make sure it’s not empty. Factors such as having more people in your household than usual, a long cold spell, or an increase in the use of certain appliances (like your water heater or a gas fireplace) can cause you to go through your fuel supply quicker than usual. Running out of fuel completely can pose a serious safety risk to your home and family. If your tank is empty, call your oil or propane provider immediately for a fill-up. 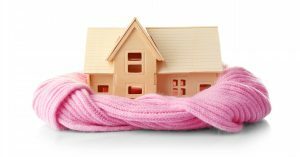 Does your home have a programmable thermostat? Make sure that it is set at the desired temperature with the correct seasonal setting. Check that the heating (or auto) function is on and that the cooling function was not turned on by mistake. Replacing or cleaning your unit’s air filter regularly is necessary for effective operation, as buildup inside the system can restrict airflow. Have this routine measure taken care of easily by scheduling a maintenance visit just once a year from a licensed HVAC technician. Check that the circuit breaker is on and that the breaker for your heating system has not tripped. If the breaker to your heating system has been tripped, reset the breaker. Circuit breakers often trip for safety-related reasons. If you’ve reset the breaker and the issue has not been resolved, contact an electrician for assistance. Confirm that all system and emergency switches are on. This includes the power switch on the side of the heating unit itself as well as the emergency switch located either on a wall near your heating unit or at the top of your basement stairs. If the switches are on and your heat is still not working, press the RESET button on your system only one time. If you’ve performed all of these steps and you still don’t have heat, call us at (603) 587-0487 for assistance. For non-emergency inquiries, send us a message anytime here.